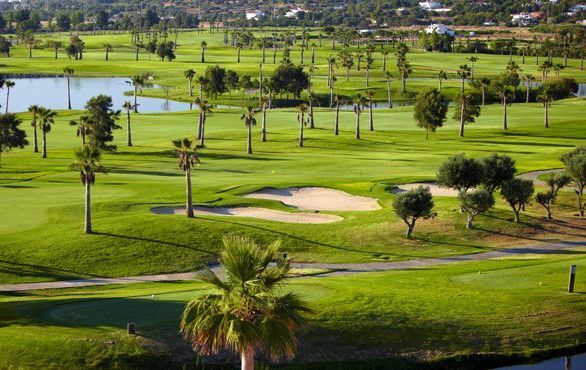 Situated in one of the best-known regions of the Algarve, to the west of Albufeira, Salgados Golf is already a ‘postcard’ of Portuguese golf. 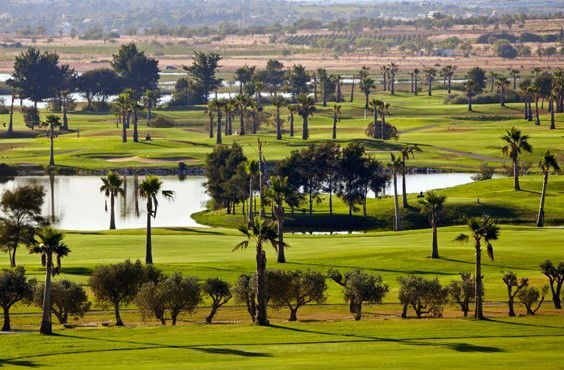 In fact, the proximity of the sea and the variety of lakes make this a very interesting test of golfing skills, different from other courses in the Algarve. 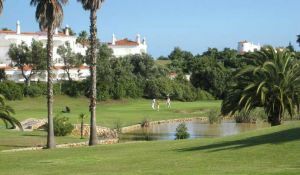 If you stay in the Albufeira area with its fantastic holiday attractions, Salgados Golf is on your doorstep. 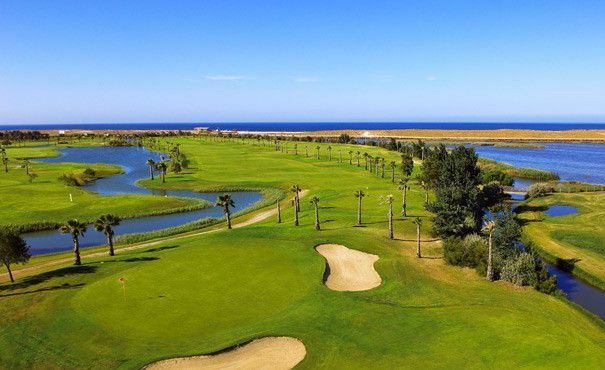 Salgados Golf, which opened in September 1994 has the feel of a Scottish links course but with a Florida atmosphere – lots of sun and water. 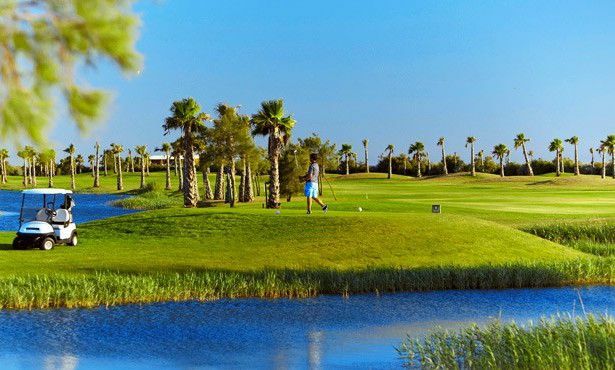 Salgados Golf is situated just three miles to the west of the popular resort of Albufeira, a colourful fishing resort with plenty of apres golf! Salgados is an interesting test which we highly recommend, but you might need plenty of balls if you are not careful. The original project is by the Portuguese designer Pedro de Vasconcelos, with more recent contributions from other Portuguese architects. But the final layout has been heavily influenced by Robert Muir Graves. 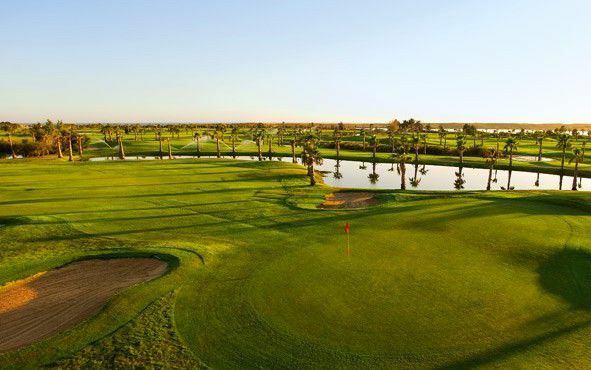 The 6,000 metre links, with numerous water obstacles almost on every hole, is not very long yet you will need all your skills to reach the greens. 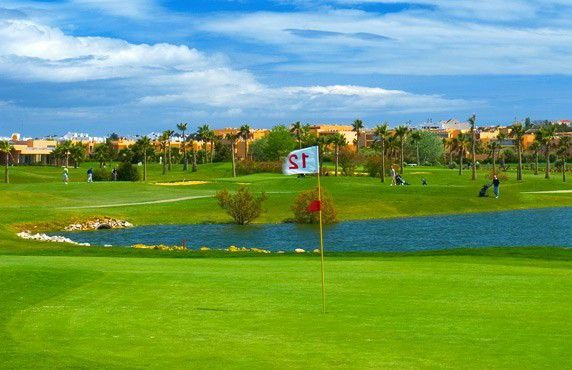 The accuracy of the drive is crucial for achieving good scores thus making the course a pleasant experience, especially for the technically-skilled player. 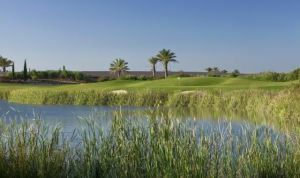 The eighteen holes at Salgados Golf are well-balanced as each half of the course has two par 5 holes of around 500 metres and three par 3 of more than 170 metres par for the course is 72. The course also skirts the beautiful Gale beach and even if you don’t have a great game, there is a welcoming Club House at the end where you can enjoy a cool beer on the terrace overlooking the course, but with a great holiday feel to the place. From Faro on EN125 turn left for Vale de Parra. Next to a nature reserve. 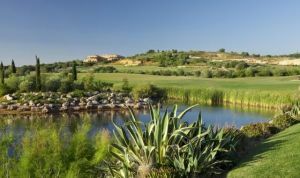 Salgados Golf Club is not yet in our pool of Golf Courses for orders.